Call it the “shot never heard around the world.” Elk Grove, California has earned national ridicule by preventing the Elk Grove Historical Society from holding a Revolutionary War reenactment with vintage flintlocks. City officials ruled that the reenactment would violate a ban on firing a gun in city limits, defined as “Use, maintain, possess, fire, or discharge any firearm.” It does not seem to matter that the guns are black powder muskets used in a performance. Would the city take the same position with a Hollywood production? Thousands of people were told that they would not be able to watch the reenactment. As a military history nut, I can attest to the educational content of these events. Despite reading military histories for decades, I have never left one of these events without learning something. These volunteers are incredibly knowledgeable and strive for absolute authenticity. Kids are allowed to see encampments, equipment, uniforms and reenacted battles. It is history come to life. Elk Grove should be delighted to have the event. The organizers complain that the rule would force them to charge with wooden sticks screaming “bang, bang, bang.” It certainly takes something off the event. Obviously, there are exceptions to this law and the failure to allow an exception in this first is truly moronic. Back in the 1960’s there was a conference. This conference was attended by Japanese veterans of WW2 and US veterans of the war in the pacific. Finally at this meeting one of the Americans asked the Japanese one question. how Far East did you think you could go in the pacific. The Japanese replied that they thought they could go as Far East as the Hawian Islands. However when it came to North America, they said that even if they could defeat the US military they could never control a population that was that well armed. When muskets are banned, only musketeers will have muskets. I am in favor of secession of California from the United States. It is a pestilence anyways. That piece of land mass is slowly drifting N. And from I believe is not . part of continental America. A typical and unsurprising Californiacism, worthy of a yawn for it’s terminal predictable control-freak idiocy. Professor Turley has rightly pointed out the fact that movie productions are allowed to use firearms in filming in California. This was essentially a theatre production, a movie with no camera. The problem with such zero tolerance rules is that they do not actually improve safety by even 0.00001%. There is no positive result. What would be more germane to public safety is to review our own system for the catastrophic breakdown we saw in Florida. Here is a general timeline of the Greek tragedy in Parkland. Nikolas Cruz was disciplined by his schools, since middle school, over 40 times for violence. He was eventually expelled, and was banned from the school with a backpack because they were afraid he would shoot or otherwise kill people. The police were called on Nikolas Cruz 39 times, over 20 of them in just the past few years, showing an escalation. Many of the calls were classified as “mentally ill” or “child/elder abuse”, but no paperwork filed. During one of the times that the police had him handcuffed in their car to be interviewed (so he would not hurt anyone during the process), counselor Nina Barela, from Henderson Behavioral Health, where he was a client, stated that he was not a danger to himself or others, and advised police not to commit him, or “Baker Act” him. Another time, when he was 18, he became enraged over the process required to get a FL ID, and his mother called the cops. She told them that he had been cutting his own arms, and had said he wanted to buy a gun. His therapist from Henderson BH, Jared Bienenfeld, came to the home and told police he was not a threat to himself or anyone else, and not to Baker Act him. Beatrice Thomas, from the Florida Department of Children and Families, was called in to check on him. She said he was not a threat to himself or others, and not to Baker Act him. There were reports of him torturing and killing animals, such as when he tried to stone a squirrel to death. In September of 2017, he posted a comment to a Youtube channel that he wanted to be a professional school shooter, using his own name “Nikolas Cruz.” The Youtuber very responsibly reported the comment to the FBI, and saved a screen shot of him doing so. The FBI determined that they could not identify this person or find out where he lived. In January, someone close to Cruz reported to the FBI that he was a threatening to shoot up a school. The FBI failed to forward the tip to the Miami field office, and it went nowhere. Nikolas Cruz was able to purchase a firearm legally, having passed a background check. This particular incident is not evidence that we need more gun control. It is evidence that we fail to enforce the laws we already have. Why do we even bother to “see something, say something”? His mother called for help for her son over and over and over again, getting him to psychiatric care and calling the police. His school reported him. His family reported him. Strangers reported him. However, since he was never arrested and sentenced for any crime, never committed, and never determined by a judge to be mentally unfit, he was able to sail through the background check. Why do we even have background checks if people like Nikolas Cruz can pass it? Out of everyone who dropped the ball, the ones I hold most accountable are the mental health professionals who repeatedly advised against a Baker Act, and the FBI. Counselors had been told that he wanted to buy a gun, and they knew he was violently unstable. All they had to do was trigger it, and he would have been prevented from legally buying a firearm. It’s not like he was even being devious and sly about it. There was something seriously wrong with him. Facebook memes and blogs going around that he could have been “loved out of it”, or this was the product of a broken home, are hopelessly ignorant about mental illness. So many people tried to get him help. Based on what I know, I don’t blame his mother. What more could she have done other than call the police 39 times and tell them she was worried he would get a gun, as well as put him in counseling? One of the motivating factors for a psychopath or otherwise disturbed individual to commit mass shootings is fame. Air time should be spent mocking him, and calling him a coward in every possible way. He is enjoying this attention. He went from cutting himself for attention to hurting others. Don’t give him the satisfaction of infamy. This young man wasted his life, and committed one of the most cowardly acts possible – shooting unarmed children. Only a coward does so. He was too scared to face anyone who could fight back, so he chose unarmed teens. What a waste. Today the news is covering the thousands of dumb mothers and dumb kids who are shouting in Tallehassee for their leglislators to pass gun laws. The nitwits ignore a full set of legal code on the books which the local prosecutor could have used to lock up wacko and have him treated with anti psychiotic drugs. The school, the doctors, the cops should have gone to the prosecutor and demanded action. No one is demanding action against the rest of the wackos with mental illness who pose a threat to self or others. Typically both sides of an argument, when they go to extremes, reveal a level of stupidity. Concerning the gun issue, this is the level of stupidity that the extreme liberal anti-gun society’s position achieves, no reenactment. On the side of the pro-gun advocates the extreme pro-gun position achieves gun toting citizens wandering the streets, access to guns by those with mental disorders, access to high powered weapons with clips that hold dozens of rounds, and the occasional slaughter of innocent children by people with mental problems, armed to the teeth, with large capacity magazines. But hey, those sacred words, by god itself, or at least some of them, and a perverse interpretation. issac – I know that Canada lost the Revolutionary War so maybe that is your problem with muskets from that period, you do not like to be reminded of your loss. At best, a musket is 3 rounds a minute (crack squad) and they are not rifled, so the ball goes wherever it wants. It works best against masses of men. The long rifle (which is rifled) was used to snipe at officers. There were few of these, but there was at least one unit composed of rifled guns and they were pretty deadly. California Liberalism: Controlling all aspects of life is paramount. David Benson – if you have been watching the news, CA has a serious homeless population problem, made worse by the fires. Nothing to do with being moronic, is it? David Benson – if you are saying that CA is moronic, then I agree. No, I was pointing out that California is extremely wealthy and so that suggests intelligence, not moronicity, moron. David Benson – both you and I were teachers unless you had a side job, that does not make you wealthy, therefore we are both morons. 😉 David, I am a far better poker player than you are, give it up. 🙂 In Montana, you learn to count by playing 5 card stud. Cribbage starts at age 4 and cribbage for money at age 6. Yes, being just a millionaire isn’t what it used to be. Pointy Sticks Anyone? 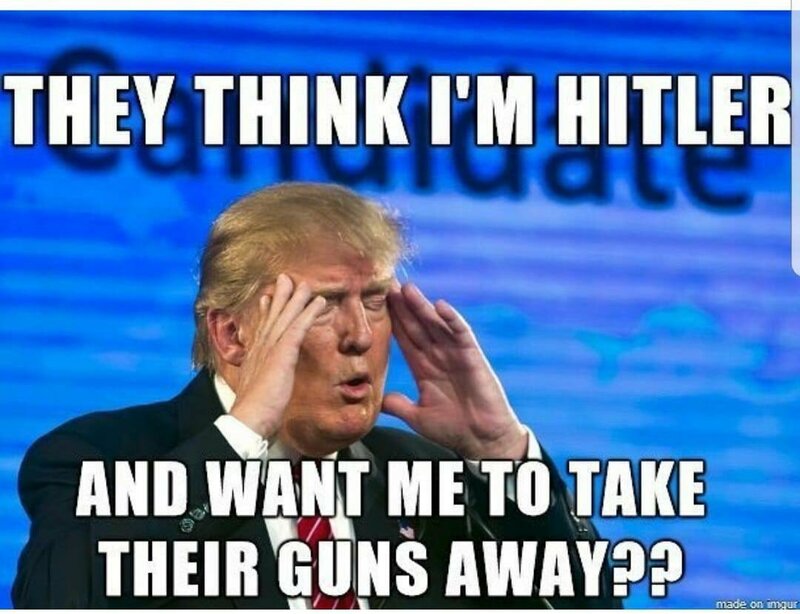 Anti Gunners Gone Wild! Is this a sanctuary city? If it is, hit it next. Good way to change history along with statues etc etc etc. That way the future gets to re-enact the past for real. Outcome not guaranteed. Avoids the extra air pollution, anyway.